Ms. Patricia Kiwanuka is the Managing Director and Founder of Revenu-Stream Limited. The firm is built on the expertise gained as a Chartered Financial Analyst (CFA), holding over 20 years of experience in fund management, stock broking, property, insurance and pensions. Patricia is passionate about simplifying financial jargon to empower individuals attain financial independence, whether one-on-one sessions or in groups. 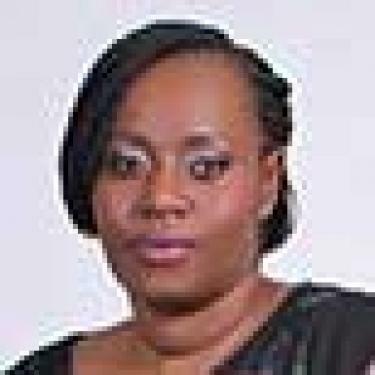 She was formerly Group Managing Director in charge of Asset Management & Property at UAP - Old Mutual Group. She is a CFA Charterholder and member of the CFA Institute – a global association of professionals that sets the standard for excellence in the investment industry. She is currently President of CFA Society East Africa, the local association for members in the professional. She holds a Masters in Business Administration and a Bachelor of Science in Actuarial Science/Statistics both from the University of Nairobi. Patricia has also undertaken a number of executive management courses including one with INSEAD, a world leading business school. She is currently the Chairperson of the Nairobi Securities Exchange Derivatives Products Advisory Committee. She is also a Director and Executive Committee member of the Priory of Kenya of the Most Venerable Order of the Hospital of St. John of Jerusalem. She has consulted with several institutions including the East Africa Community Secretariat and National Bank of Rwanda (Central Bank).